BY DANVILLESANRAMON.COM – San Ramon-based health food chain Vitality Bowls hit a milestone earlier this month, selling its 1 millionth açaí bowl. Six years after the brand was founded in San Ramon and three years after franchising efforts were first initiated, Vitality Bowls now has almost 70 cafes open and in development across the country. Its signature product is the açaí bowl, which contains a variety of “superfood” ingredients, including its eponymous açaí berry. The million-bowl mark was officially reached over the weekend of Nov. 11. “When we opened our first cafe six years ago, most people weren’t sure how to even pronounce ‘açaí,’ let alone know what’s in an açaí bowl!” said Tara Gilad, chief operating officer of Vitality Bowls. The brand’s corporate headquarters is located at 2440 Camino Ramon, Suite 333, near Bishop Ranch. The cafe was founded in 2011 by Roy and Tara Gilad, after the couple discovered their daughter’s severe food allergies and they wanted to find safe, healthy food alternatives for her. After franchising in 2014, the brand has nearly quadrupled in size. The açaí berry — seen as a superfood because of its high levels of antioxidants — serves as a base for the vitality bowl, which also includes fruit, flax seed and granola. The brand touts that its menu items are rich in antioxidants and customizable, and that all bowls and smoothies have no “ingredient fillers” like ice, frozen yogurt, added sugar or artificial preservatives. 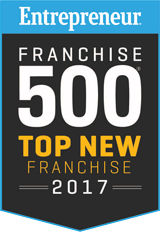 Vitality Bowl was named one of the top 100 new franchises in 2017 by both Entrepreneur and Fast Casual magazines.